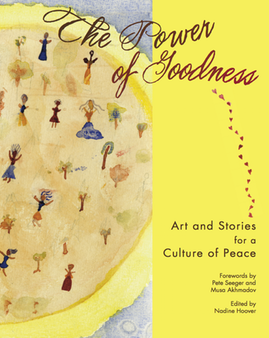 The Power of Goodness: Stories of Nonviolence and Reconciliation is a storybook with original artwork by young people ages 6 - 20 from Chechnya, Russia and around the world illustrating narratives of nonviolence, healing and reconciliation. Together they capture the excitement of action, joy of seeing from new perspectives and encouragement of witnessing how small actions make big differences. The Power of Goodness Art Exhibition (100-pieces) Curated by Nadine Hoover available for booking, write to Jenna@Power-of-goodness.info.